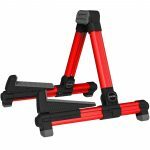 A-frame foldable type, made of aluminum alloy, easy to carry along and use. Unique structure design with adjustable pads and arms expands the usage range. 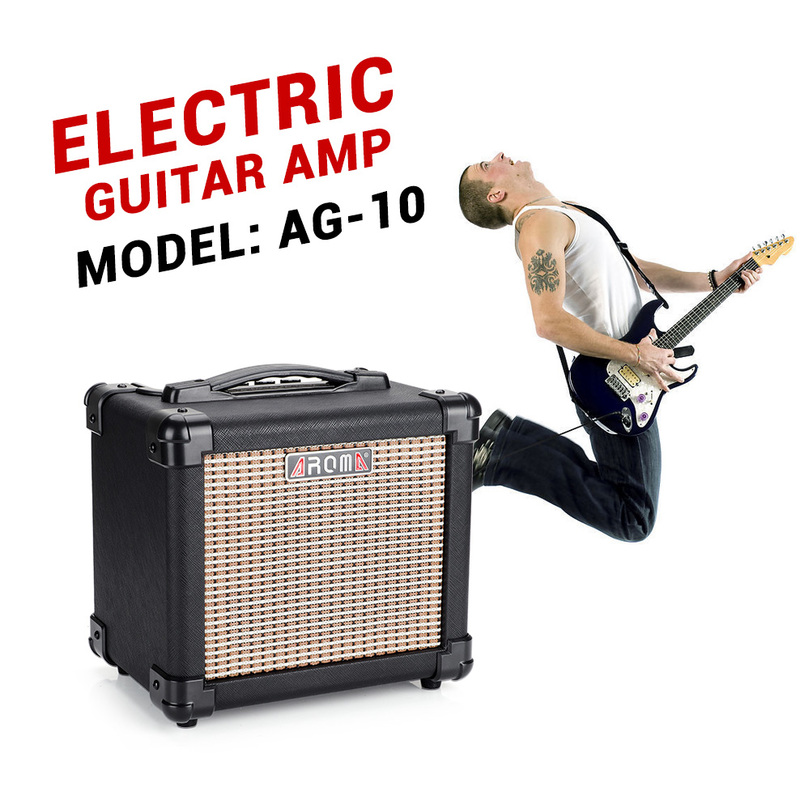 Patented open-close design of supporting arms makes the stand much more stable. Soft silicon pads at contact points between instrument and stand. 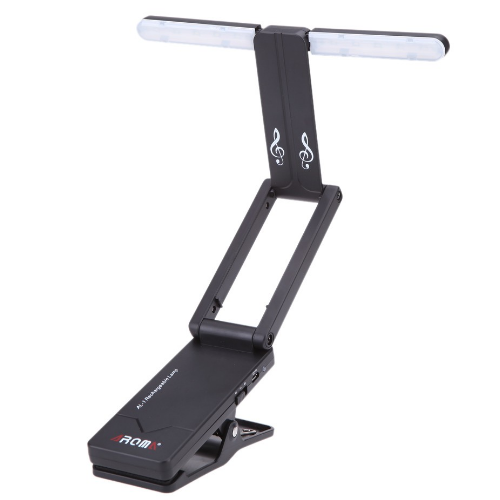 4 silicon feet with anti-slip surface greatly improve stability of the stand. Suitable for different sizes and types of string instrument, like Electric/ Classical Guitar, Ukulele, etc. Small and exquisite appearance, it is convenient to carry. 360 degree rotatable clip, it can adjust at your suitable angle, simple and practical. 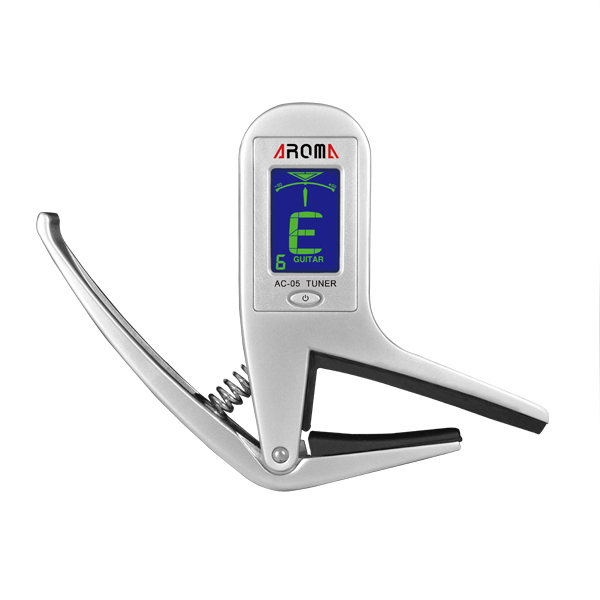 With a clip, it is easy to fix on the instrument. 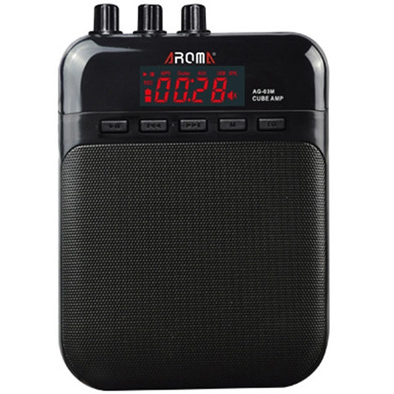 Auto power off function, the device will turn off automatically if there is no signal present or operation in 3mins. 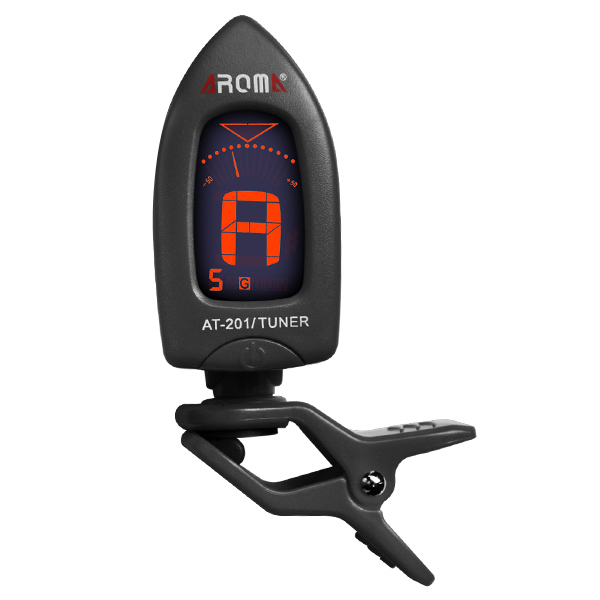 It can be used for the tuning of guitar, chromatic, bass, violin, ukulele. 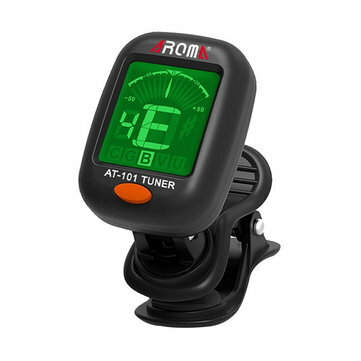 Features: Professional instrument tuner---AROMA AT-101 mini clip-on digital tuner. Widely used, suitable for tuning chromatic, guitar, bass, violin and ukulele. 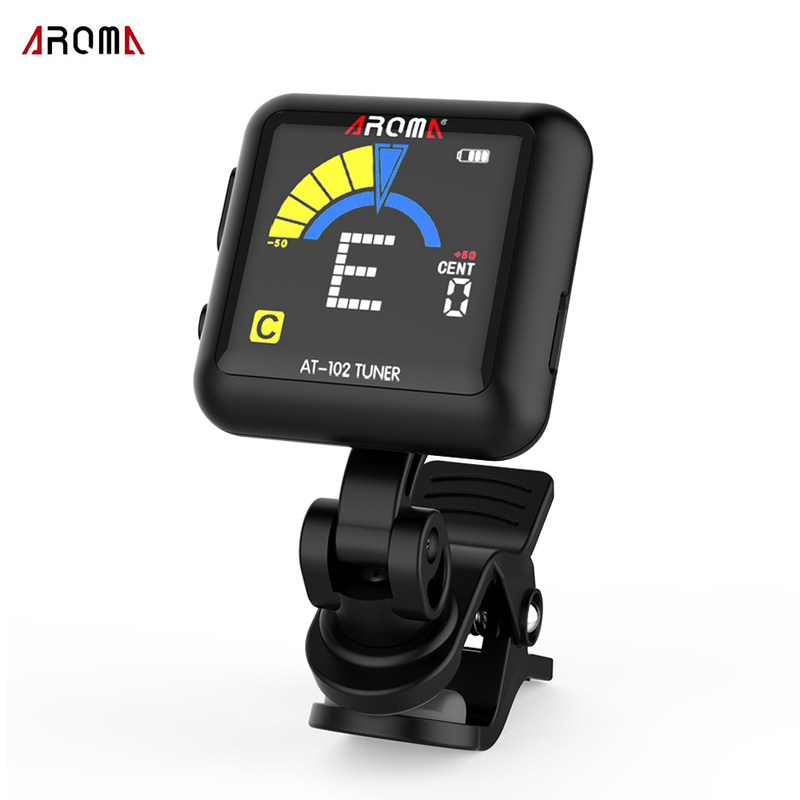 Double color backlit LCD screen. The product's shell is made from pretty food-grade PC material. In-tune: indicator is on the middle, showing Green; Low: indicator is on the left, showing Blue; High: indicator is on the right, showing Blue. 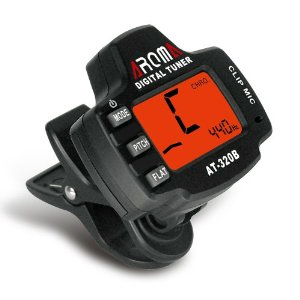 Portable digital clip-on style, easy to clip onto any stringed instrument as mentioned above. 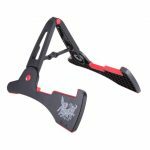 Its clip part can be rotated 180 degree easily for positioning proper view angle of the LCD screen. Super anti-interference. Sensitive and stable. Turner picks up the sound by vibration.